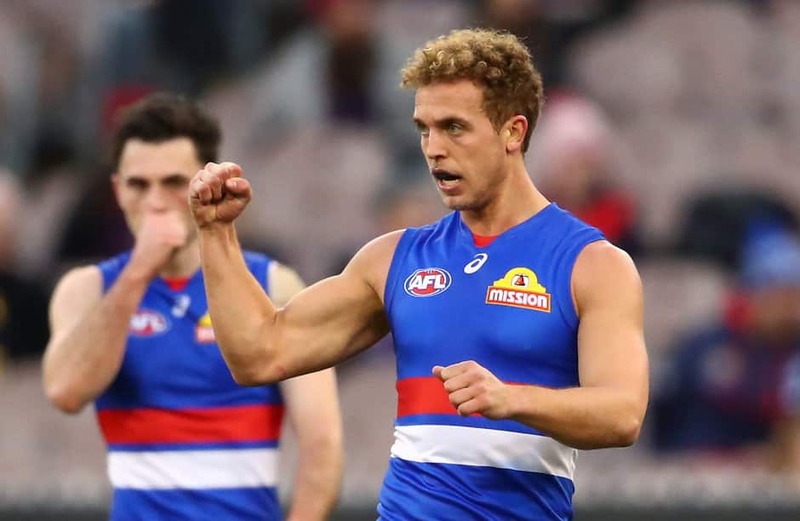 WESTERN Bulldogs midfielder Mitch Wallis has turned his back on free agency to re-commit to the club for a further three years. Rival clubs were informed on Tuesday night they had missed out on his signature, with Wallis opting to stay at the club that selected him as a father-son pick in the 2010 NAB AFL Draft. Brisbane had been chasing Wallis in an attempt to boost its midfield stocks, while Essendon also flagged interest in the 25-year-old. The fresh deal ties him to the Dogs until the end of 2021. Wallis played 18 games this season, but was dropped earlier in the year as coach Luke Beveridge demanded more from him with ball in hand. Finding his way back into the senior line-up, Wallis then asked for clarification on his future role at the club at season's end before re-signing. "It's fantastic to be able to re-sign with a club that means so much to me and my family," Wallis said. "There was never any question about my commitment to the club or my desire to remain here. "We're a young side showing some really positive signs, and I’m pleased that I’ll be here to contribute as we move forward." General manager of list and recruiting Sam Power was delighted to retain Wallis' signature. "He's a heart and soul player at the Bulldogs, his work ethic is first rate and his determination to get the best out of himself, as well as to drive the standards of others and the team, is instrumental." It leaves the Dogs with free agent Tom Liberatore on its to-do list, with Luke Dahlhaus and Jordan Roughead set to depart. Rookie Brad Lynch is also edging closer to a two-year extension at Whitten Oval. With a number of departures including the retirements of Jack Redpath, Shane Biggs and Clay Smith, the Dogs are actively pursuing contracted Port Adelaide forward Chad Wingard.